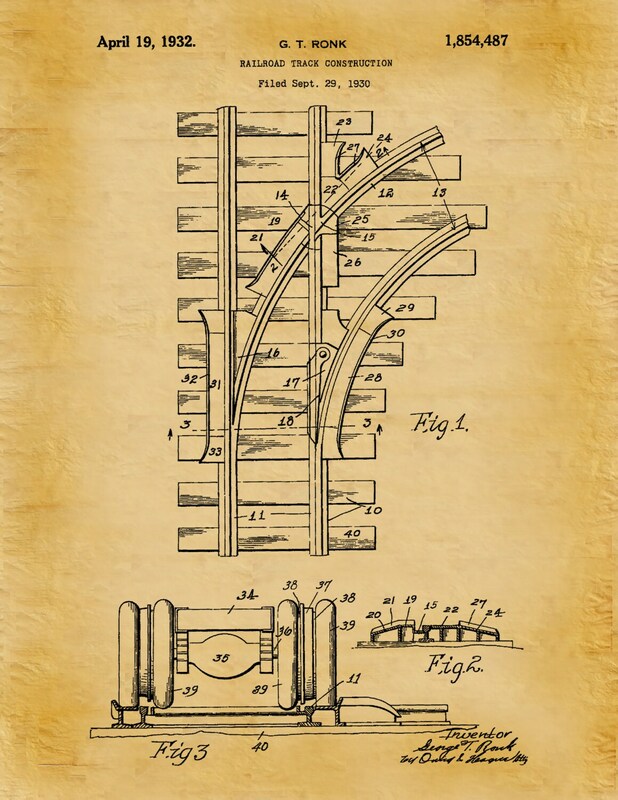 1932 Railroad Tracks Patent invented by George Ronk. 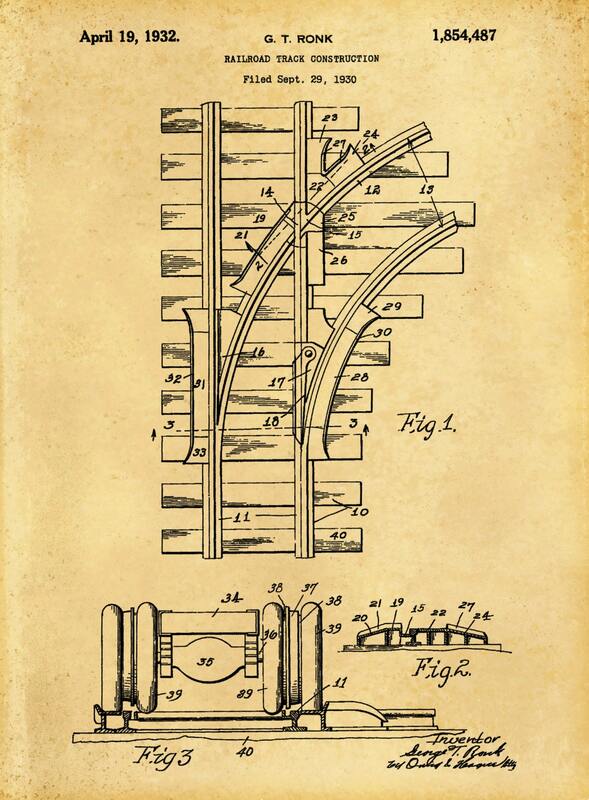 The United States Patent and Trademark office issued the patent on April 19, 1932. 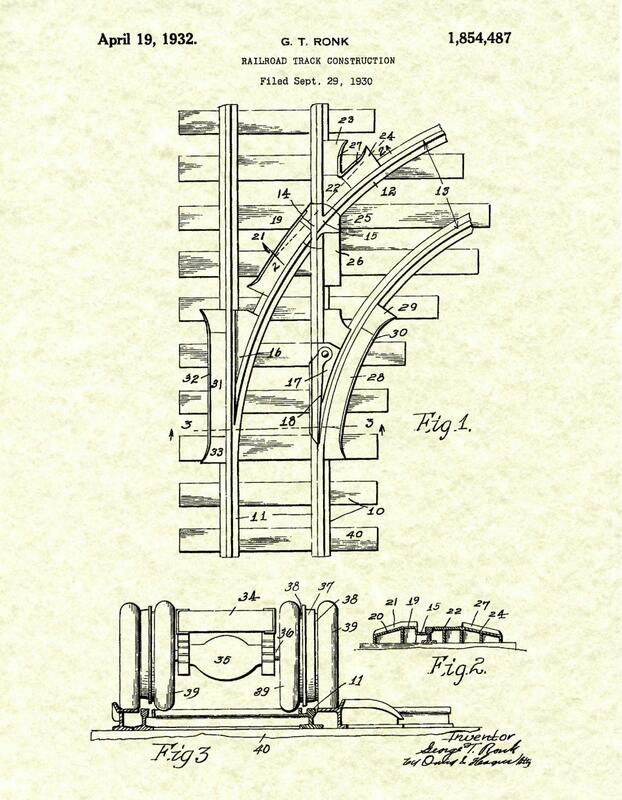 This patent would go together nicely with any of the locomotive patent I have listed. Orders ship in a protective acid-free sleeve and placed into a rigid envelope or tube to ensure safe delivery to your home or office. 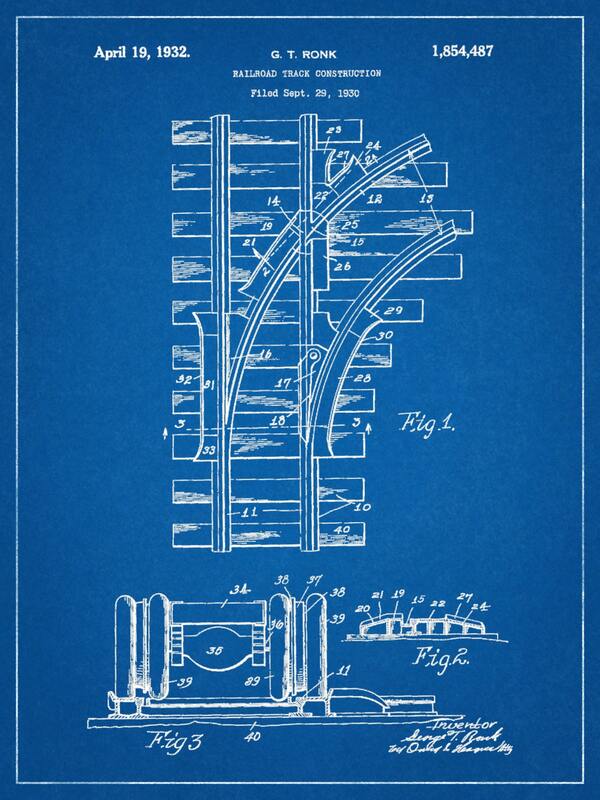 Loved this print. Great quality.exactly what I was looking for. 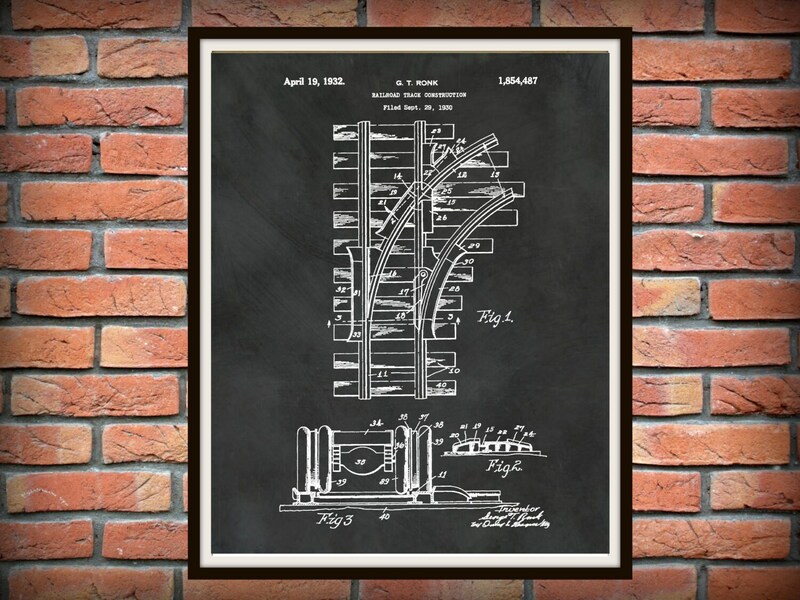 Great item! Great quality and worth the money.